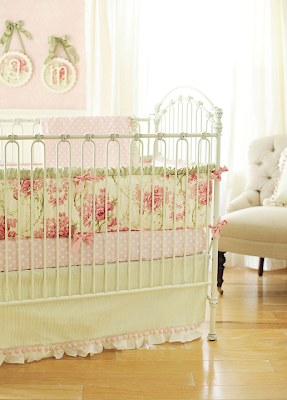 Nursery Notations: New Bedding from New Arrivals Inc.
One of our newest sponsors, New Arrivals Inc. just debuted their new spring bedding collection. 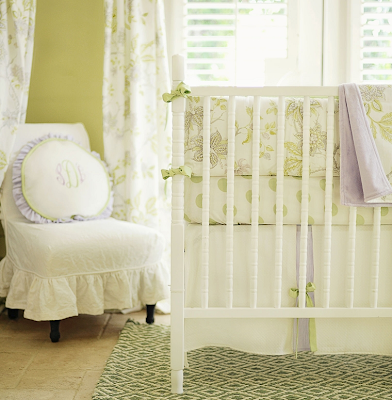 Their custom bedding sets are fresh, slip-covered, and include special detail to the crib skirt. New Arrivals has styles to suit almost any decor. Their 3-piece sets run just under $500 and Sprout is my favorite addition to the collection (well you know I have a soft spot for turquoise). The Sprout set is also available in twin and full sizes. For a softer more feminine look they introduced a few more floral prints which were actually missing the the high-end custom crib bedding arena. Lavender Fields Forever brings in a hint of the ever-popular, re-emerging color lavender. 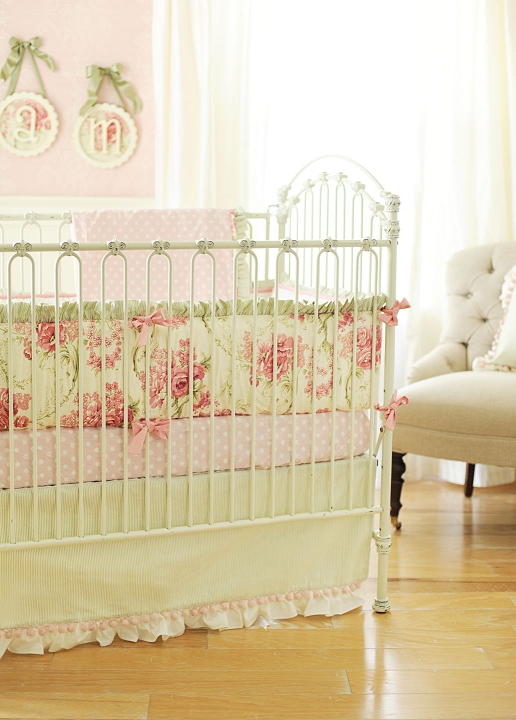 Roses for Bella is your classic sweet southern belle baby look, with a nod back to the Shabby Chic days. And you can't forget about some dramatic glamour for a little girl, most easily achieved by using black and white with an accent color. This Mayfair Lane set still has a nice soft side. This last image is their exclusive higher-end design set Cordillia made exclusively for Posh Tots, running around $750. I think it is so pretty, sophisticated and coordinates beautifully with grey. Enjoy and thank you New Arrivals for becoming one of our newest sponsors. If you are interested in having your company be a sponsor on Nursery Notations, please e-mail me at nurserynotations@gmail.com. oh my gosh, I love the Sprout for a boys twin bed! 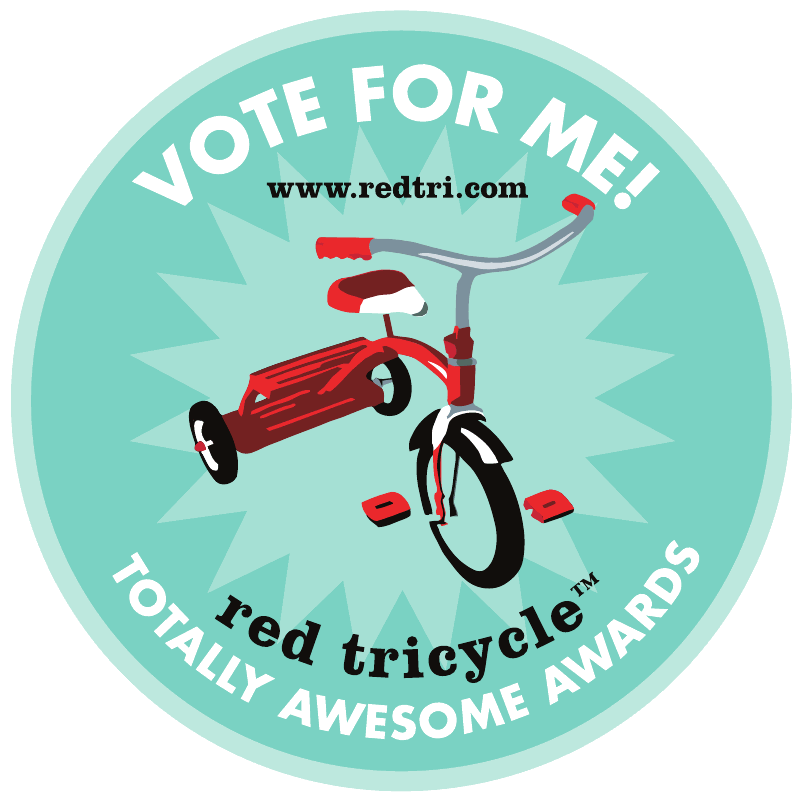 I have been looking for something sophisticated for our sons room, this will be perfect. 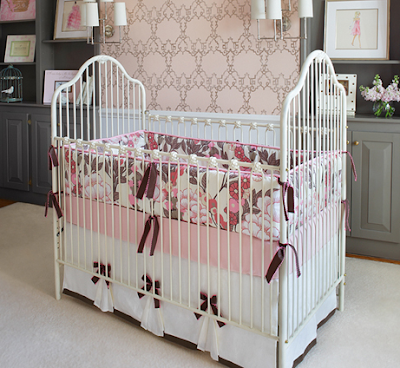 These are great nursery beds!